With the temps hitting the 90s each day, it was time to make some ice cream! I made this recipe a couple times last summer, but with the new little one, food blogging took a break. 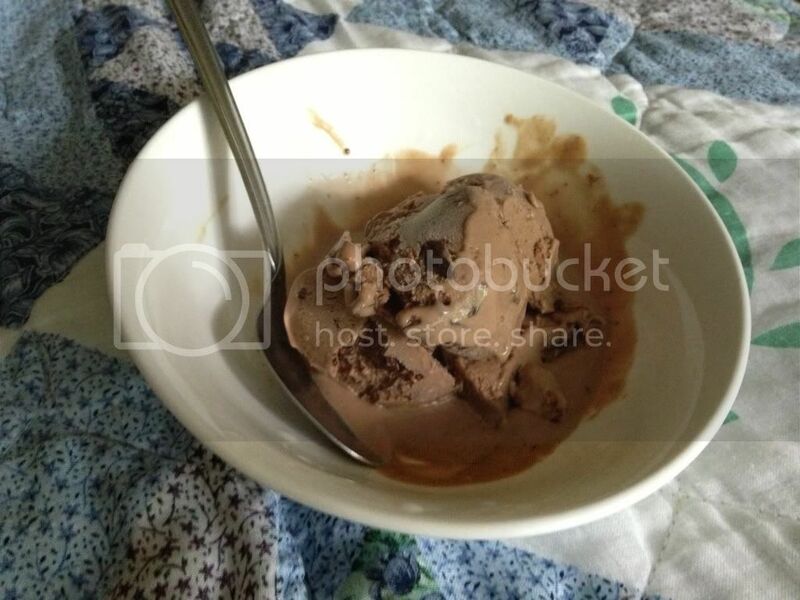 Last summer I generally followed this recipe from My Recipes.com and made coffee ice cream with chocolate chips. Yesterday, I decided to add even more chocolate and mixed the chocolate shavings right into the ice cream base. Then when churning I added another three ounces of shaved chocolate to recover the missing crunch. Fantastic! 1. Whisk together sugar, cornstarch, and salt in a large heavy saucepan. Whisk in milk and half-and-half. Cook over medium heat, stirring constantly, 8 to 10 minutes or until mixture thickens slightly. Remove from heat. 2. Temper egg yolk with about 1/4 c of hot milk mixture, then return to pot, whisking briskly. Whisk in espresso. Whisk in half of chocolate. (Skip this step if you prefer coffee ice cream with chocolate chip.) You may need to return the mixture to the heat over low to get the chocolate to melt smoothly. 3. If necessary, strain mixture to remove any solids. Pour into a bowl and cool for about an hour. Place plastic wrap directly on cream mixture; chill 8 to 24 hours. 4. Pour mixture into freezer container of a 1 1/2-qt. ice-cream maker, and freeze according to your machine's directions; stir in remaining chocolate halfway through freezing.